Qualified as a Registered Nurse in South Africa, Michele started off her career as a District Health Nurse gaining a wealth of experience and specialising in wound care management. From there she spent the following 16 years working exclusively for a plastic and reconstructive surgeon as the practice nurse. In 2012 together with her family she moved to New Zealand where she spends her free time fishing, reading and enjoying the great outdoors. 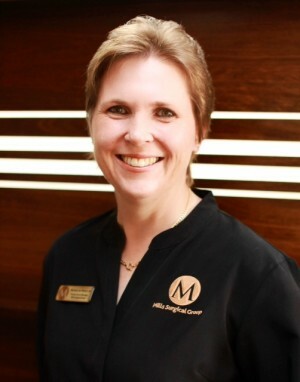 Michele is currently continuing her love for plastic and reconstructive surgery as part of the Mills Surgical group where her kind, caring and professional manner is well suited to her position as practice manager.